Allstate’s Arity spin-out has embraced an analytics-based platform strategy similar to those used by the likes of Uber and Lyft. Allstate has spun out an analytics business that harnesses driver risk scores, roadside rescue services and other telematics data, which it is packaging into software to sell to rival insurers, automakers, as well as ride-sharing companies. So it is fitting that the startup, called Arity, is also aping the API-based platform strategies of the very startups that have blown up the transportation industry. The symmetry isn't lost on Chetan Phadnis, vice president of Arity Platform, who says a platform is the best way Arity can make its APIs and software development kits (SDKs) available to customers in the software-is-eating-the-world era. Arity’s products could help insurers, for example, better price policies. "There's an expectation by on-demand based technology companies, who need and want to interact with companies through APIs and SDKs," Phadnis tells CIO.com. "We need to be able stitch together seamlessly into their consumer or business process experience and that's why we've taken an API-centric approach to the products we're making." No longer merely a simple way for connecting disparate applications, APIs have become the lingua franca for the platform economy, enabling new digital products and business models for services and creating new business channels. The use of APIs to facilitate digital transactions can boost profits, which will grow as platforms generate and exchange more data, says Boston University professor Marshall Van Alstyne. Apple, Google, Facebook and Uber have leveraged APIs to build disruptive platforms that spurred network effects. Emboldened by the success of such tech heavyweights, Arity is harnessing the proprietary telematics data and software Allstate has amassed over the last several years to deliver risk assessment and other services. Phadnis says the data comes from cars, where it has over 1 million sensors generating telematics information from Allstate products such as the DriveWise dongle and application, which monitor driving behaviors to help reduce risk and lower insurance rates. The information includes some 20 billion miles worth of driving data. Arity is making its data service available via its developer portal. There an automaker will find roadside service APIs that will allow drivers to monitor the real-time status of an assistance request through their applications. 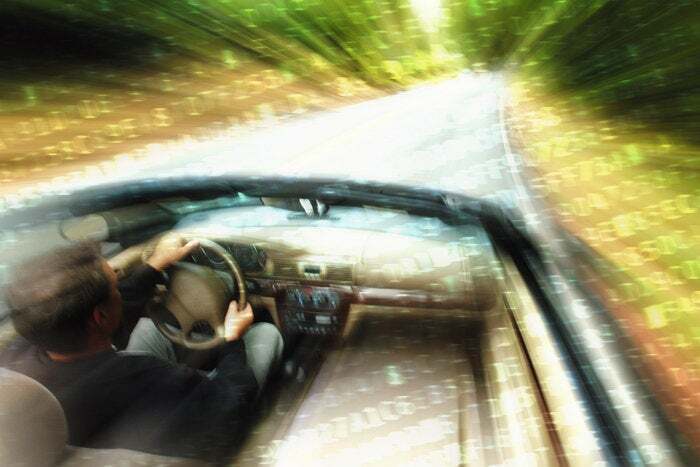 Arity also offers an SDK and APIs for a so-called “driving behavior service” that enables insurers and other businesses to capture data on drivers’ hard braking and excessive acceleration behaviors. Such behaviors are tallied to generate a driving score or predict the likelihood of an accident, helping insurers better price their policies. Driving risk scores are also highly sought after by ride-sharing providers such as Uber and Lyft, who must vet third-party drivers and their vehicles. Arity is offering APIs that connect on-demand transportation providers directly to its predictive analytics service for risk scoring. "Uber and Lyft can't keep up with the demand for drivers but they don't want to put poor drivers out there," Phadnis says. "That's where a company like Arity can play a role." Arity offers an SDK and APIs for a driving behavior service that lets insurers and other businesses capture data on drivers’ practices. While only Allstate businesses, including Allstate Insurance, Esurance and Answer Financial currently use the Arity software and analytics, Phadnis says he anticipates commercial uptick will broaden outside the company this year. Arity emerged from Allstate's technology department, where Phadnis began his career in 2004 and helped build some of the proprietary data and applications that support the new business entity. Phadnis says that Allstate has traditionally used APIs to connect with third-parties that relied on proprietary, point-to-point integrations. Such a one-off approach is antithetical in the platform era and wouldn't suffice for Arity, which can grow only by providing developers seamless access. Accordingly, Arity's developer portal employs API management platform from Google's Apigee business, which enables developers to use APIs to securely share their data across applications and devices from third-parties. Phadnis says this partnership helped Arity avoid the friction of one-off integrations to get APIs to market more quickly -- another defining characteristic of the digital world. "If we want to win in this business we have to be digital first and digital first requires us to expose our services this way because our customers want to curate and own those experiences," Phadnis says. "We're taking a proactive approach to realize that we need to be operating like a software technology business and Arity is central to that strategy here."